With the Schicksalslied Brahms created a very personal interpretation on the theme of fate in a timeless piece of music that will not fail to impress in concert hall or church. 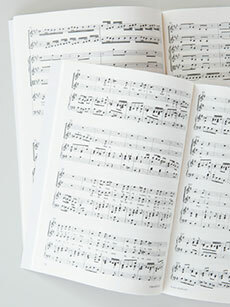 The new edition is a modern Urtext edition of the score based on current editorial principles. It is based not only on the composer’s personal copy of the first edition as the primary source, but also on the engraving manuscript which was long thought to have been lost. Thus the composer’s handwritten corrections made in this manuscript could be incorporated in the new edition, as well as a revision in this bilingual edition of the English translation of Friedrich Hölderlin’s dramatic poem.